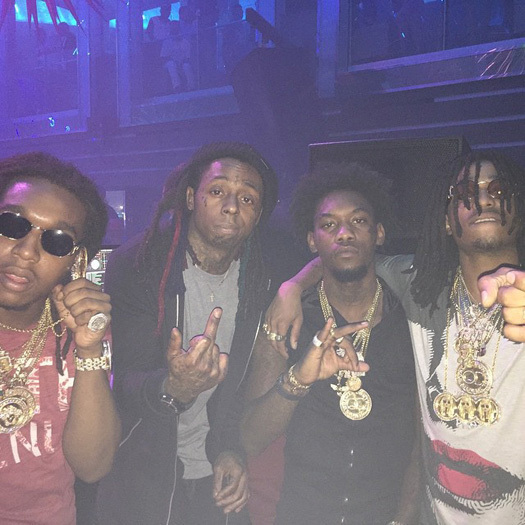 A leftover from Lil Wayne‘s Sorry 4 The Wait 2 mixtape just surfaced online featuring Migos. The track is called “Amazing Amy” and it was produced by London On Da Track. Migos also have a song dropping soon with Tunechi called “Fantastic” that was produced by Monsta Beatz, so they probably recorded a feature for each other’s project for payment. You can listen to “Amazing Amy” after the jump below. By the way guys, if you have never seen the movie Gone Girl (for the Amazing Amy reference), it is a must watch. It was my favorite film of 2014!